So the ground was hailed with ‘yaysss’ and flooded with glittery confetti’s when the ball hit in the court of Zalimis. 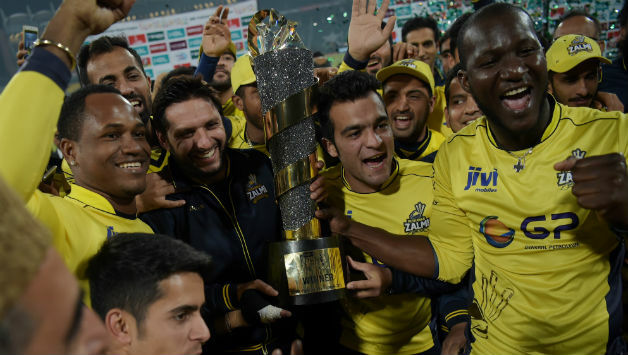 When in last ball Darren Sammy took a selfie made the troop fall in love with the Zalmi act, thousands of people with high hopes and fingers crossed for Peshawar Zalmi’s achievement was the moment in time to cherish. The new champs for PSL 2 Zalmi’s were the team of the match and took all the attention. The match was organized in Gaddafi stadium , Lahore where the streets and entire field was decorated vibrantly and the entire stadium was guarded with the police troops and rangers to provide top security, the ground was decorated in a unique way for 30,000 number of mass joined in to witness the finale, it was the wave of gratification that after 2 years of gap the match was to be held in Pakistan, central Lahore to show the world of “united we stand, divided we fall” statement and ofcourse the by the grace of almighty the event took place without a bit of terror, this is proven that Pakistan has defeated terrorism and has the audacity to confront the rage of violence. With the arrangement of the finale penetrated the happiness under people’s spine throwing its Eid-like vibes on everyone. One can surely not deny the fact that there is a ray of hope and fragment of light for this nation to welcome the prosperity. Many politicians and Pakistani celebrity showed interest to attend the finale with great zeal. Not to forget the arrangement was people friendly as 22 new water coolers were installed for public ease. 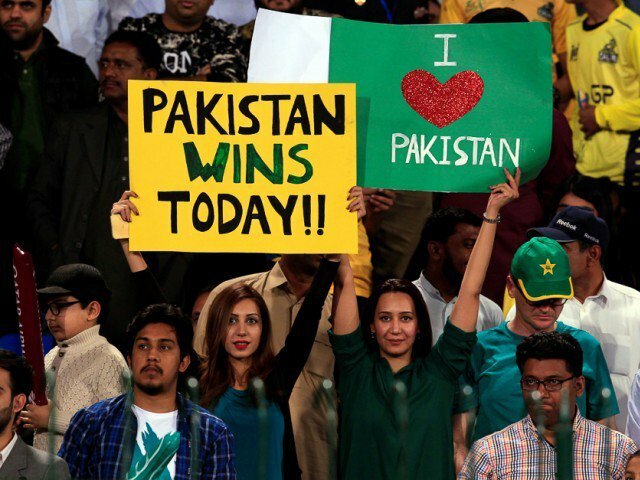 It was an event where 30,000 die heart fans of cricket gathered to watch the victory was a sign of unity and peace. 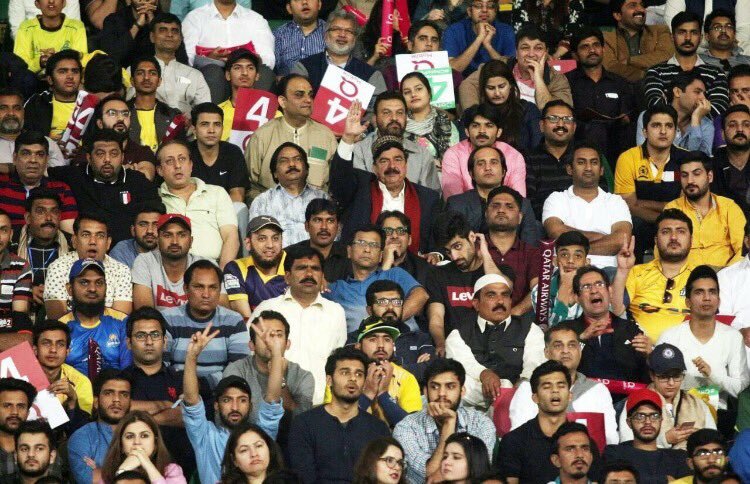 People started tweeting with overwhelmed heart and united with the voice of patriots, The ceremony was made colorful with the enthralled performances by Ali Azmat, Faakhir and Ali Zafar.The crowd was oriented with “Zalmi Zalmi” emotions, people traveled from different places just to buckle up for the PSL finale. But Afridi was irreplaceable when Sammy thanked Afridi for allotting him with the captaincy of Peshawar Zalmi. Kamran Akmal supported 3 boundaries i:e: 3 sixes and 1 four was cherry on top, the game was electrifying and was more inspiring when the trophy was handed over to the winner Zalmi over Quetta Gladiators. 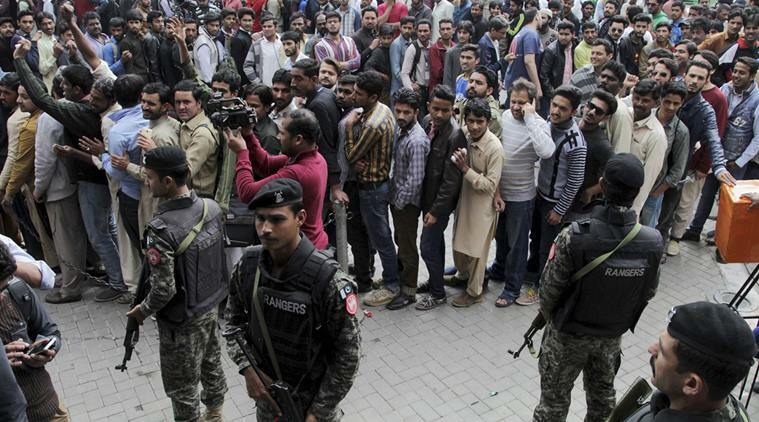 Seems like the faded happiness and zeal was back in Pakistan , as the country was decorated with lights, people actually booked screens for live streaming match and ofcourse the load shedding was put off for everyone to enjoy the finale , it was the moment of a festival where everyone was happy. Food deals and discounts were reeling over internet and it was a package of real enjoyment for everyone to make it special.